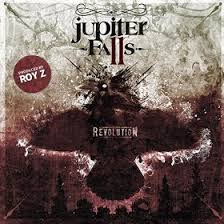 Jupiter Falls are a young and hungry British metal band who seem to be trying to deliver something that mixes traditional, powerful metal with a modern edge, and I’m pleased to say they manage to do this pretty well on this, their debut album. Opener ‘Awake’ will no doubt bring Metallica comparisons, as it has a similar power and tempo as well as a non too subtle ‘Now I lay me down to sleep’ spoken intro. It doesn’t actually sound anything like ‘… Sandman’, but the ominous riffs and powerful vocals from James Hart made me worry that Jupiter Falls were going to be yet another Metallia-lite band. Second track ‘Chasing The Dragon’ (also the lead single) completely threw me, then, as it’s an upbeat, heavy melodic track that bounces along and must be a real crowd pleaser live. There is definitely, I thought, more to Jupiter Falls then meets the eye, or ear. ‘To the Point’ follows with a crunchy Zeppalike intro before turning into a track fellow Brit metal lords Blackwolf would be proud of. In fact, could someone get these two bands to tour, as they’d bloody well suit each other. So what we have, essentially, is a band who make rather heavy music, but with enough melody to appeak to rock fans across the board. There’s a definite Metallica influence in many songs, but Metallica are an influence for lots of young bands, and Jupiter Falls have more strings to their bow than copying other bands. ‘Revolution’ doesn’t quite live up to it’s name, but the talent contained within is blindingly obvious to anyone who cares to take a listen. This is undeniably a heavy metal album, but don’t let that scare you away. Jupiter Falls have started their recording career on the right foot, and it will be interesting to see where they go from here.